With its exceptional expertise coverage H&A Law Firm has been rooted in the heart of the Albanian business environment for 15 years now, actively contributing to biggest corporates development. H&A Law Firm has always been on the front line to anticipate changes in the law, now a key part of corporate growth strategies. Businesses today must operate in an extremely fluctuating environment, due in particular to the globalization of trade, heightened exposure to litigation, complex and inflated regulations. 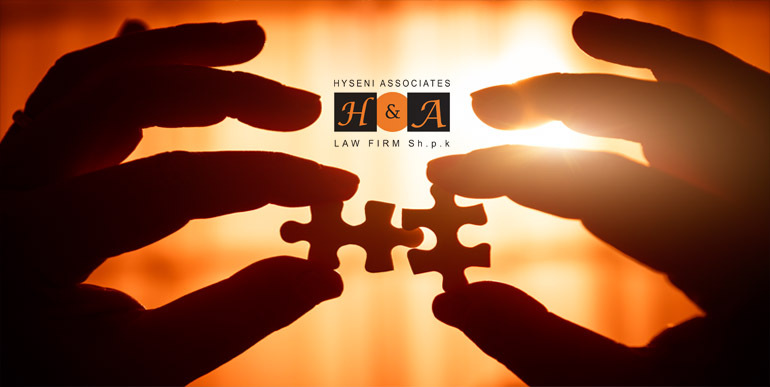 H&A Law Firm continues to adapt to this context so as to ensure that the services we provide our clients come with higher value added. We are able to mobilize our experts throughout the entire country and in the neighboring countries in the region, making H&A Law Firm the firm capable of offering high value-added expertise to meet all the needs of regionally-based companies. This proximity is undoubtedly one reason why our clients are so attached to our firm, as is reflected in their loyalty: 67% of our clients have been with us for over 10 years. For the past several years, serving our clients multi-disciplinary needs has been a major growth path for our firm. We continue to pursue our strategy of forming partnership with Experts that share our values, and range of practice areas. Like us, our partners place technical excellence and respect for the client at the heart of their priorities. H&A has been advising clients in all areas of business law for more than 15 years. We define ourselves as being corporate counsels: our lawyers serve our clients by providing them with information and advice, and by defending their interests throughout an engagement. We are partners of businesses, public authorities and non-profit organizations. We advise organizations in all business sectors, strengthened by our knowledge of the Albanian Fiscal Legislation and our recognized expertise in international issues, and give priority to ongoing engagements. Technical excellence is the firm’s leading requirement. We strive to maintain the high level of technical expertise of each of our professionals through a continual training program. Our lawyers also benefit each day from the support of our national studies and research division, which provides ongoing technical assistance on complex issues, legislative and regulatory monitoring, and regular contact with the administrations. Our proactive, comprehensive advice helps our clients to obtain a fair assessment of their situation and to make the right decisions at the right time. Our philosophy is to provide our clients with exceptional legal representation and outstanding personal service. Legal advice to lenders and borrowers on financing matters, including syndicated loans, project, asset finance and factoring. Legal advises to banks, financial institutions and investment companies in connection with their day-to-day activities. Legal advice on all issues of competition law relating to mergers and acquisitions, agreements having an effect on competition, joint ventures and dominant undertakings, antitrust and anti-dumping issues. Full range of commercial, financial, industrial, and real estate litigation. Legal consultancy for property owners, investors, developers, lenders, insurance companies, governmental and non-governmental agencies and public authorities – across a variety of matters, including infrastructure projects, industrial properties and expropriation.